A Day Late and A Dollar Short: Petco - Bonus $5! Do have pets? If so, you know how expensive they can be. Thank goodness for this new game from petco! 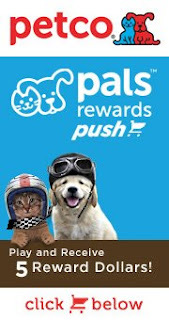 Visit the petco facebook page to Petco Pals Rewards Plush game and win a bonus $5!